Athens is the capital and the largest city of Greece. The name comes from the Athena, the goddess of wisdom, worshiped in the ancient times. 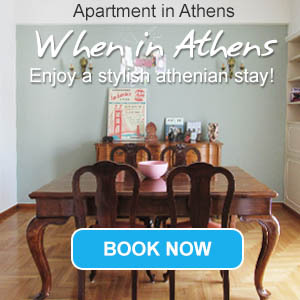 The history of Athens is deeply rooted within the centuries and in the ancient Greek mythology. Athens has given the world some of the most famous writers, mathematicians, philosophers which introduced culture and art. The city is crowned by the ancient Acropolis which symbolizes the classical spirit and the greatest architectural complex in the world. Old neighbourhoods, ancient buildings and cobbled stone streets survive still and coexist with the modern aspect of Athens. Today, Athens has many tourist facilities which reach the high standards of other European cities. The city of Athens covers 29 squares km, among which you can find many commercial centers, beautiful areas to relax, quiet streets for your walks and historical neighborhoods to discover parts of the ancient city. This section proposes a map of Athens with all the major locations of the city. You can view and download a high resolution map of Athens. View where is Athens on a map of Greece. View the map of Athens with Google map and discover the neighbourhoods, the beaches but also all major sightseeing like ancient sites, museums, churches.